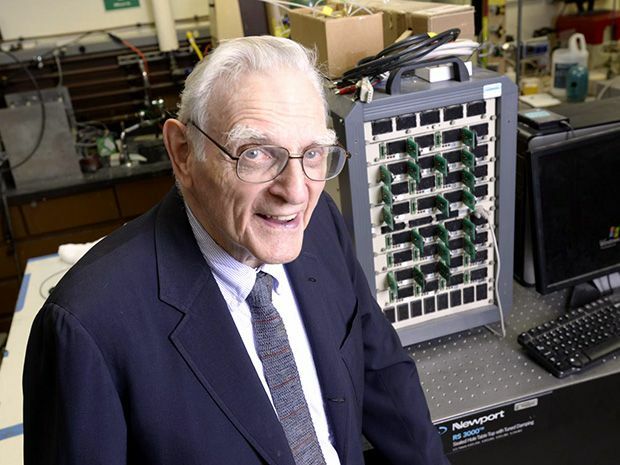 “I think we have the possibility of doing what we’ve been trying to do for the last 20 years,” says John Goodenough, co-inventor of the now ubiquitous lithium-ion battery and emeritus professor at the Cockrell School of Engineering at the University of Texas, Austin. “That is to get an electric car that will be competitive in cost and convenience with the internal combustion engine.” Goodenough added that this new battery technology could also store intermittent solar and wind power on the electric grid. Yet, the world has seen alleged game-changing battery breakthroughs come to naught before. In 2014, for instance, Japanese researchers offered up a cotton-based (!) new battery design that was touted as “energy dense, reliable, safe and sustainable.” And if the cotton battery is still going to change the world, its promoters could certainly use a new wave of press and media releases, as an internet search on their technology today produces links that are no more current than 2014-15 vintage. Goodenough himself says that when he first co-invented the lithium-ion battery in the 1980s, almost no one in the battery or consumer electronics industries took the innovation seriously. It was only Japanese labs and companies like Sony that first began to explore the world we all today inhabit—with lithium ions powering nearly every portable device in the marketplace, as well as electric vehicles and even next-generation airliners. In other words, who better than Goodenough to co-create the technology that could one day supplant his mighty lithium-ion battery? The new battery technology uses a form of glass, doped with reactive “alkali” metals like lithium or sodium, as the battery’s electrolyte (the medium between cathode and electrode that ions travel across when the battery charges and discharges). As outlined in a research paper and recent patent filing (of which Goodenough, 94, says more are forthcoming), the lithium or sodium-doped glass electrolyte offers a new medium for novel battery chemistry and physics. They find, for instance, that the lithium- or sodium-glass battery has three times the energy storage capacity of a comparable lithium-ion battery. But its electrolyte is neither flammable nor volatile, and it doesn’t appear to build up the spiky “dendrites” that have plagued lithium ions as they charge and discharge repeatedly and can ultimately short out, causing battery fires. So, if the glass batteries can be scaled up commercially, which remains uncertain in this still proof-of-concept phase research, the frightening phenomenon of flaming or exploding laptops, smartphones, or EVs could be a thing of the past. If Goodenough, Braga and collaborators can ramp up their technology, there would clearly be plenty of upsides. Goodenough says the team’s anode and electrolyte are more or less ready for prime time. But they’re still figuring out if and how they can make a cathode that will bring the promise of their technology to the commercial marketplace.